What Kinds of Billing and Coding Errors Constitute Health Care Fraud? What are the consequences if you or your billing administrator commits a billing or coding error that results in an unjustified payment from Medicare, Medicaid, or Tricare? While you might assume that this type of honest mistake could be remedied fairly easily, in today’s world of aggressive health care fraud enforcement, even honest mistakes can lead to civil or criminal charges under the False Claims Act (FCA) and prosecution by the U.S. Department of Justice (DOJ). Billing and coding errors are among the most common forms of health care fraud. Even honest mistakes can lead to charges under the False Claims Act’s broad prohibitory language. And with the DOJ’s and Medicare Fraud Strike Force’s use of data analytics and algorithms that automatically compare providers’ program billings, providers of all sizes and in all geographic regions are being targeted for health care fraud enforcement. Whether a fraud enforcement action leads to civil or criminal charges, the consequences are severe – and potentially practice-threatening. As a result, physicians and other health care providers need to maintain active and effective compliance programs, and they need to take action immediately upon learning of a mistake or after being contacted by federal authorities. The FCA has two key facets that are particularly relevant to health care providers who bill Medicare, Medicaid, Tricare, and other federal health care benefit programs. These are: (i) the prohibition of all knowingly-made “false and fraudulent” claims, and (ii) the statute’s provisions for civil and criminal penalties. A reimbursement request based upon a billing or coding error is considered a “false” claim under the FCA. As such, it violates the statute and it is considered a form of fraud against the government. Minimally, this triggers the potential for civil liability since the FCA’s civil enforcement provisions do not require bad intent in order to establish culpability. If prosecutors with the DOJ, the Medicare Fraud Strike Force, or any other federal law enforcement agency find evidence of intent (which may be inferred from repeated violations or failure to maintain an up-to-date compliance program), then they can pursue criminal charges. Using an incorrect billing code is perhaps the simplest form of billing or coding error that can trigger liability under the FCA. 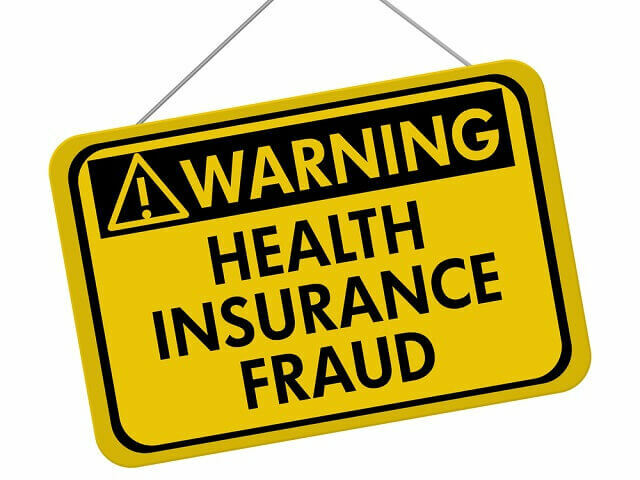 Whether you were relying on outdated billing guidance or simply made a mistake, submitting an incorrect billing code – intentionally or unintentionally – is considered a form of health care fraud. A more egregious form of submitting an incorrect billing code involves what is commonly known as “upcoding,” or submitting a code for an item or service that is reimbursable at a higher rate than the item or service that was actually rendered. The Centers for Medicare and Medicaid Services (CMS) permit use of modifiers with billing codes only under very specific and limited circumstances. Adding modifiers inappropriately (e.g., adding Modifier 25 to Code L8679 for a P-Stim procedure) can trigger scrutiny under the False Claims Act as well. The federal health care billing program guidelines require certain services and supplies to be “bundled” for reimbursement at a combined (and reduced) rate. “Unbundling” services or supplies in order to obtain a larger overall reimbursement is a form of health care fraud. Double-billing is considered a form of health care fraud as well. Double-billing can mean either (i) billing the same government health care benefit program multiple times for the same service or item, (ii) billing multiple government programs for the same service or item, or (iii) billing the same service or item to a government program and a private health care insurer. When billing CMS, in addition to submitting the correct code it is also necessary to comply with all of the various technical conditions for reimbursement eligibility. Non-compliance with billing conditions is another form of “billing fraud” that can lead to civil enforcement under the FCA. Certain costs are considered non-allowable (or “unallowable”) under CMS’s program billing guidelines. Seeking reimbursement for things like private-duty personnel, training expenses, certain meals, and employee travel can also lead to enforcement proceedings under the FCA. One of the fundamental tenets of the federal health care program reimbursement system is that benefits are only available for services that CMS deems “medically necessary.” Even if you believe that the services you rendered were medically necessary, if CMS does not, then the services are not eligible for federal program reimbursement. Federal program reimbursement is available only for services rendered by licensed medical providers, and only if those providers have not previously been excluded from program participation. Billing for services rendered by an unlicensed or excluded provider can result in fraud charges under the FCA, even if the provider is not directly affiliated with your practice. For services requiring a physician certification (e.g., home health and hospice services), billing for these services in the absence of a valid physician certification is yet another form of prosecutable health care fraud. If your health care practice is being targeted in a federal investigation as a result of alleged billing or coding violations, it is important that you speak with an attorney immediately. To schedule an appointment with federal health care fraud law defense attorney Nick Oberheiden, PhD, call (888) 356-4634 or request a free consultation online now.